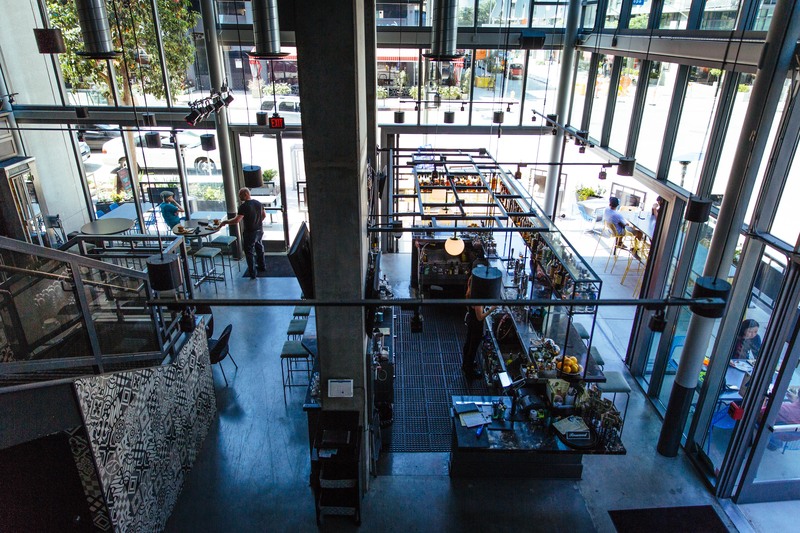 Prank is owned and operated by Dave Whitton, one of Downtown’s (really, LA’s) best. One of the OGs at Seven Grand, he went on to open up Villains Tavern, One Eyed Gypsy, and now this place. (the story about how he got the city to somewhat unwittingly permit outdoor imbibing is a good one, especially for those of you who have to deal with building inspectors…). What I like about Dave is that he knows how to create a high quality cocktail program … but he also knows how to serve his audience. So you’ll see drinks with ingredients you may not recognize … but you’ll also see fruity vodka drinks (albeit really well balanced, well made fruity vodka drinks). Prank also has live music, an amazing upstairs area (which is where the second pic was taken from), and even a mascot (yes, a mascot. You’ll have to go to see what I mean). 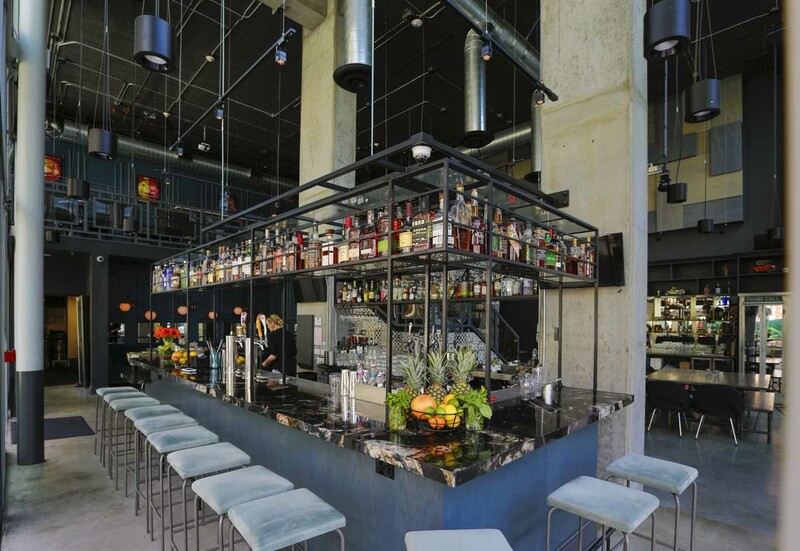 It’s got better food than it has to, and randomly fun stuff like a happy hour that goes from 2:40 to 7:02 pm and then from 9:42 to 10:47 (though, admittedly, I’ve never tested buying a drink at 7:03 and seeing how strict they are). Here’s another “how have I not written about this place yet?”, but … I haven’t. And that’s the Arts District Brewing Company. While it’s a member of Cedd Moses’ 213 Hospitality family, Arts District Brewing is in a class by itself. As the name suggests, the focus here is beer (fun fact: the brewmaster is a woman) – they brew 30+ beers on site (on site!) and are capable of producing 3,300 barrels a year. Next up, another place you’ve likely been to … but if you haven’t, you need to go. Immediately. And that’s Pacific Seas, more popularly known as “the tiki bar at Clifton’s”. Clifton’s, for those of you who haven’t been paying attention, is a spectacular reboot of an iconic LA institution that is known for its “pay what you can” policy during the Depression. And also known for its faux forest, stuffed animals, and over the top décor. If you haven’t been, check out this post from a couple years ago to know what I’m talking about. 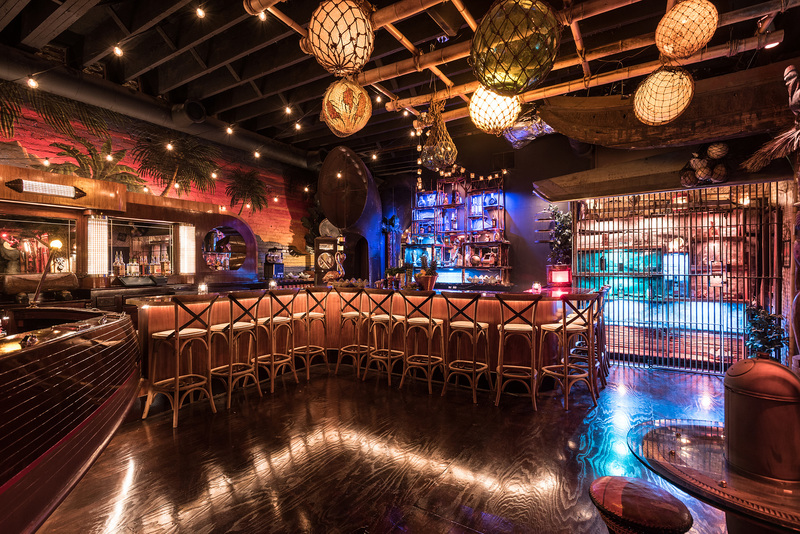 However, what wasn’t open then but is open now is perhaps the most elaborately decorated tiki bar in Los Angeles. See? The design is simply amazing (and look at that boat!). The drinks are tiki-legit. And the entrance is kinda fun – they give you a poker chip thing at the front desk (for capacity reasons), you go up a few flights of stairs until you find an unmarked mirrored door, you go in and give them your chip, go up a few more stairs, and voila. It gets very crowded so go early or on a weeknight or something … but it’s one of Downtown’s coolest bars. The chef says it’s inspired by his childhood summers in Bologna, and it’s easy to believe it. 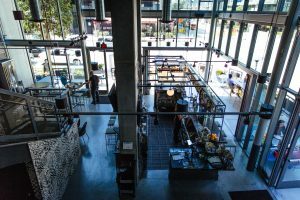 You may not think Downtown needs another Italian joint (I’ve written about this before) but, as I wrote about in my previous post, it does if it’s a place like this. Don’t believe me? Jonathan Gold made it #10 on his most recent 101 best list. This place screams “special occasion”, and the food is both accessible and just adventurous enough to be interesting. If I’m being honest, I do find 71 Above to be just a bit too fancy (read: borderline pretentious), but it’s worth a date night there if you haven’t gone yet. Or you can always just drop in for a drink at the bar to check it out (yes, you have to go through building security and ascend two elevators to get there, so it’s a bit more than “dropping in” but still … I’ve done it). Also, fun fact: early in my career, I worked on this floor when it was still office space. I’m pretty sure my cubicle was on the far side of where the bar is now. Weird … but somehow appropriate? 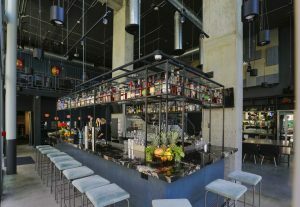 – Bavel (by the Bestia folks) and Majordomo (by David Chang) are finally open, and Hotel Figueroa is finally reopened. I haven’t been to any of them yet, but they’re all a big deal (in different ways). Anyway, I’ll report back. – For a “huh. 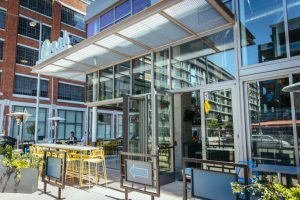 I had no idea” experience, head over to Hotel Indigo, part of the huge new Metropolis development in South Park. The hotel restaurant is … well, a hotel restaurant … but it’s big and airy and different and perfectly fine. And nobody goes there. – Wexler’s Deli inside Grand Central Market has some of the best sandwiches Downtown. They smoke their own meats on the premises every day. Get the Macarthur Park, their homage to Langer’s iconic #19. It’s amazing. – Finally, people frequently ask me my favorite restaurant in Los Angeles. It has always been and will likely always be … Providence. Which isn’t in Downtown. It’s on Melrose. But there’s nothing like it in this city. There you have it. My latest, truly random musings. Happy travels.